Last week, Hawaii passed a landmark bill, SB 1087, which will allow the state to create and issue a “Green Infrastructure Bond.” This bond structure will secure low-cost financing for a variety of clean energy installations, with a focus on reaching populations that cannot afford or do not have access to these energy saving improvements today. The bond proceeds will be used to fund an on-bill program currently under development at the Hawaii Public Utilities Commission (PUC). The on-bill program, which is very much in line with EDF’s recommendations for on-bill repayment (OBR), will provide access to low-cost financing for clean energy projects for residential and small commercial customers. 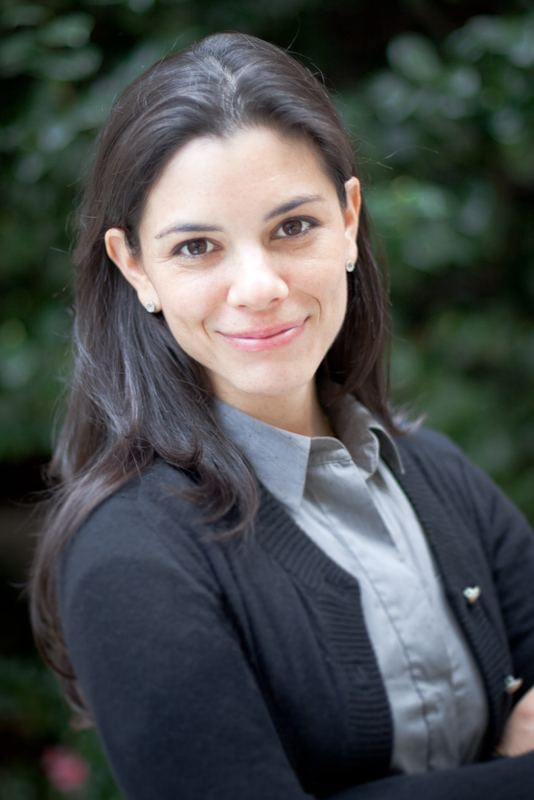 The bill’s intent is to use this low-cost capital to expand access to affordable clean energy for all of Hawaii’s consumers, acknowledging that “Existing programs and incentives do not serve the entire spectrum of the customer market, particularly those customers who lack access to capital or who cannot afford the large upfront costs required-thus creating an underserved market.” Funding projects with a focus on serving populations that do not have access to other means of financing is especially important in the Aloha State, where electricity rates are the highest in the nation. Last Friday evening, February 1, the Hawaii Public Utilities Commission (PUC) issued a landmark decision and order to create an on-bill program, very much in line with EDF’s recommendations for on-bill repayment (OBR), that will provide access to low-cost financing for solar and energy efficiency projects for homeowners and small businesses. This decision comes 18 months after the State passed legislation directing the PUC to investigate an on-bill program and authorized the Commission to implement the program (by decision and order or by rules) if the on-bill program was found to be viable. The PUC decision determined that a statewide on-bill program is viable, and specified program design criteria that the Commission deems necessary to achieve viability. EDF has been working to shape the proposal with key stakeholders including environmental groups, lenders and the Hawaii State Energy Office. Since the terminology can be confusing, it is worth noting that this is not a typical ratepayer-funded on-bill finance program, despite having the same designation. The Hawaii program leverages private capital, and the PUC supports participation by multiple sources of capital rather than a single financing entity. EDF believes both of these elements are critical to scaling the program and meeting the needs of a diverse set of property owners. 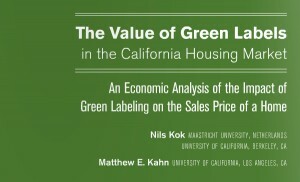 The Housing Market And Green Labels: Location! Location! Efficiency! From produce to t-shirts, we know certain people are willing to pay more for organic, and that these people often seek out restaurants, vendors and brands that have earned certifications for their commitments to sustainable practices. Labels help consumers, who increasingly face a multitude of product and service offerings, make informed decisions. But what about a sustainably-labeled house? Will people pay more for a certifiably more efficient, or “green,” home? A recent study, “The Value of Green Labels in the California Housing Market,” suggests that the market places significant value on certified green homes in California. Such green-labeled homes fetched a 9% premium versus non-labeled homes, based on statewide sales data for 1.6 million homes from 2007 to 2012. This translates to a $34,800 price premium for a home labeled by at least one of three standards: ENERGY STAR, LEED for Homes or California’s own GreenPoint label, on the $400,000 sales price of a non-labeled home. The research was conducted by Matthew E. Kahn, an economics professor at UCLA, and Nils Kok of Maastricht University in the Netherlands, a visiting scholar at the University of California at Berkeley. Their analysis controls for variables known to affect real estate prices including location, size, vintage and the presence of amenities. The study estimates that the typical single-family California household spends $200/month on utilities, and thus stands to benefit from $720 in annual savings from energy efficiency measures that would reduce energy use by 30%. The authors point out that the $34,800 price premium of a green-labeled home is 48x the annual estimated utility bill savings of $720, suggesting that consumers value efficient homes for more than the direct financial benefits they produce. Since the non-financial benefits of a green-labeled home are a seemingly large part of their perceived value, effectively promoting energy efficiency requires a targeted marketing approach that taps into the consumer’s values – perhaps some combination of increased comfort, improved indoor air quality and the signal of ‘conspicuous conservation’ that lets your neighbors know your own particular “shade of green.” In fact, the study found that the value of a green-labeled home was positively correlated with the level of environmental ideology of a neighborhood, as measured by the percent of hybrid vehicle registrations. We tend to focus on cash-flows when doing a cost-benefit analysis of energy efficiency financing programs, weighing the upfront installation costs versus the resulting monthly utility bill savings. This makes sense given that non-financial benefits, to date, have been hard to value. However, this study is an indication that these benefits are indeed monetized at sale – and a 9% price premium sends a strong message that it pays to invest in energy efficiency!